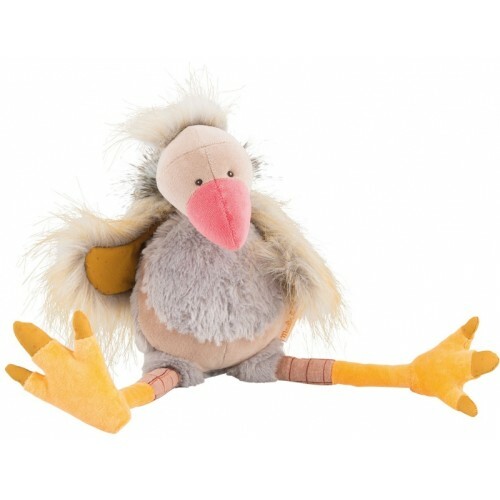 Gus the vulture is a delicate and tender soft toy from the collection Roty Moulin Bazar. With his soft plumage, Gus spreads his wings to cuddle your kids and surrounds them with tenderness. Dimensions: 38 cm. Materials: Cotton, polyester, elastane, acrylic. Suitable from 1 year old.